Prior to the twentieth century the term "ascended master" was not known. There have been many prophets, philosophers, and teachers, but they are not generally known as "masters". It is believed that the first recording of the term was by Baird T. Spalding in "The Life and Teachings of the Masters of the Far East" printed in 1924. Then in 1934, under the pen name of Godfre Ray King, Guy Ballard made the term "ascended masters" popular with the publishing of his "Unveiled Mysteries". The term "ascended master" was not in Blavatsky's terminology. Theosophy used the term "mahatmas" and originated with Madame Blavatsky who brought the idea of highly evolved humans, mahatmas, having secret knowledge that they were passing on to her and others. She claimed they were living in the Himalayas in Tibet, but they could astrally travel, or bilocate and be in several places at once, and appear anywhere they chose. According to Merriam Webster dictionary 'mahatma' means: a person to be revered for high-mindedness, wisdom, and selflessness. Mahatma is an adaptation of the Sanskrit word mahātman, which literally meant "great-souled." When capitalized as Theosophy does, it is applied to their "masters". For Blavatsky it was mainly two masters, Morya (M) and Koot Hoomi (KH). They were supposed to have communicated a whole body of esoteric wisdom in the form of “transmitted” letters that came to be known as the "Mahatma Letters". There has been much debate about the origin of the Mahatma Letters. To Theosophists, the mahatmas are like us but more evolved with having mastery over the laws of the universe. While yet still a mortal they have awareness of their spiritual potential and of other planes of being. They are like enlightened yogis, similarly known in the East, who after having realized Truth, and have gained the right to merge with the All in a state of absolute bliss (called nirvana). These masters of Theosophy are different as they were interacting with mankind and thus supposedly had decided to give up entering into nirvana. The mahatmas in this respect are what the Mahayana Buddhists call Bodhisattvas, vowing to forgo nirvana and stay in the lower planes to help mankind evolve. During Blavatsky's time, up until Mr. Ballard and his ascended masters, the mahatmas, who were said to have communicated with Theosophists, were in human form. Theosophist C. W. Leadbeater presented the masters as human beings full of wisdom and compassion in his book, The Masters and the Path (1925). Other theosophy-based organizations began adding more elements supporting the concept of Ascended Masters. Later ascended master movements would claim that these same Theosophy masters ascended sometime during those years. There are a body of personal letters written to A.P. Sinnett from Morya and Koot Hoomi that were published after his death in a book called "The Mahatma Letters to A.P. Sinnett". These are often called the Mahatma Letters. Original copies of these letters are in the British Museum. Sinnett claimed these long letters literally dropped into his possession from thin air. Personal letters from the masters were also written to Henry Olcott, Madame Blavatsky and a few others. After Blavatsky’s death, Annie Besant received letters from these mahatmas. The Secret Doctrine written by Madame Blavatsky is, as KH states in a letter, “the triple production” of Mahatma M, Upasika (“Upasika” is a Buddhist term meaning “female disciple” and was used by the Masters for HPB.) and Mahatma KH, and was published in 1888. Master M states in one of his letters that The Secret Doctrine has been dictated partly by him and partly by KH. Letters written by Olcott, as well as from his personal diary, describe his encounters with these mahatmas. One time they came to his door and after coming in they sat down and smoked cigars with him. One of them produced flowers in the air and made it rain in his room. They disappeared and he found them in Blavatsky's room, where she told him later they had been with her for more than an hour. Another encounter with the Mahatma M, is described in a letter dated 1877 from Olcott where he said that "he demanded proof" from the master that he was real. The master then unwound his turban from his head and gave it to him. In another letter Olcott said the master's shawl appeared on Blavatsky's head while he was with her and then she took it off and gave it to him. Still in 1877, in another letter Olcott described M has having long raven hair that hung from under his turban to his shoulders. He had a black beard, parted vertically on the chin in the Rajput fashion, then twisted up at the ends and carried over his ears. Again, in that same letter he said appears to be describing the same incident of the turban but writing that his thoughts were that he wished he had some tangible proof whereby "the master read his thoughts" and untwisted his embroidered turban and gave it to just one? Other encounters describe how they were suddenly awakened by a master standing next to their bed or the master M would appear and wake them up. Those incidents can not be reliable due to sleep induced hallucinations. Another person described sitting on a veranda with Blavatsky when they saw a mahatma standing next to tree. Madame Blavatsky went down to him, saluted him by touching the back of his hands with both of her open palms, and she then received a packet that contained a letter unaddressed that had gone through the postal system. Another person stated that they saw a master standing on a branch of a tree, then descend though through the air onto a wall where Madame Blavatsky then rose up stood looking at him for about two minutes, then the figure seemed to walk in the air right through the tree and disappear. Outside of Theosophy the stories of the mahatmas became known when in 1883, Sinnett published a book called, The Occult World, which was based on the letters from the mahatmas. The publication drew worldwide attention. The Society for Psychical Research (SPR) became interested and wanted to do an investigation. Their objective was to research paranormal phenomena and examine this phenomenon in a scientific and unbiased way. The Society sent Richard Hodgson to determine if the Mahatma Letters was a genuine psychical phenomena. In conclusion, Hodgson wrote a 200-page report that was highly critical of Blavatsky and the letters. His claimed that Blavatsky, “was neither the mouthpiece of hidden seers, nor… a mere vulgar adventuress; we think she has achieved title to permanent remembrance as one of the most accomplished, ingenious, and interesting impostors in history.” Yet his report has been lambasted by many critics who are in support of Theosophy. Extensive handwriting analysis has been done on the original Mahatma Letters, with support for, and against, Blavatsky writing some of those letters. Madame Blavatsky and the Mahatmas explained the method by which the letters were written. They claim that in actuality the letters were “precipitated” not written. One of the powers a spiritual adept develops is the ability to impress upon a sheet of paper the images he holds vividly before his mind, as well as giving those images to others. The power behind these adepts is called siddhis. Siddhis is a Sanskrit word translated as "perfection", "accomplishment", or "attainment". This phenomena of precipitation not only includes the paper, photos, and words, but appeared to be the color of ink as well, as Koot Hoomi always used blue ink or blue pencil. Morya’s letters usually came in red. Each of the mahatmas apparently had their own writing style and this was analyzed by the handwriting experts. Blavatsky confirmed that the mahatmas frequently used other students to do the actual precipitation of the letters, although these students did not appear and confess that they had written these letters, except Blavatsky and Sinnett acknowledging that it was so. In this way, there was an explanation as to why there were differing signatures, or why there were errors in the letters. They all could be explained away as being attributed to these other student's inability to clearly attune to the mahatma's mind due to their own mental idiosyncrasies. Supposedly, if the receptivity was good, the student would get the message clearly from the mahatma’s mind, and the resulting production would be exactly the mahatma’s own words and handwriting, and this helped to explain the variations of Koot Hoomi’s signature. The mahatmas themselves said in their letters that they use chelas to write their letters that are written in their own handwriting. The exception was unless something very important and secret was to be said, then they would take the time to write the letter themselves. 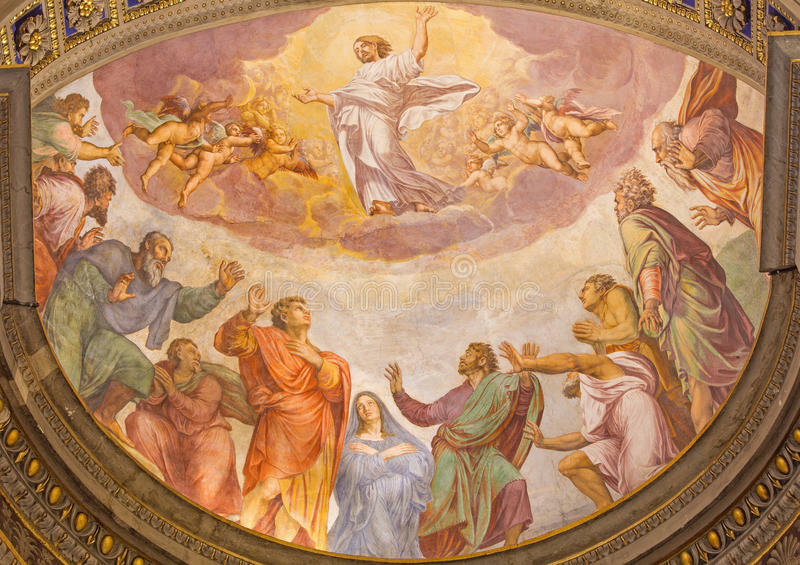 Remember that there was but one hysterical woman alleged to have been present at the pretended ascension, and that the phenomenon has never been corroborated by repetition. Yet for nearly 2,000 years countless milliards have pinned their faith upon the testimony of that one woman and she not over trustworthy. TRY and first work upon the material you have and then we will be the first to help you to get further evidence. Until then, believe me, always your sincere friend, KOOT HOOMI LAL SINGH." The Kuthumi of the ascended masters is obviously not the same Kuthumi (Koot Hoomi) of Theosophy, as he has promoted through the ascended master teachings the goal of the ascension. Blavatsky described the masters belonging to a heavenly order called the “Great White Brotherhood”, and likewise, all ascended master activities continued that premise. The use of the term “white” has nothing to do with race. It refers to their advanced spirituality which appears as white light. When white light is passed through a prism the different colors that make up white light become separated. Those seven colors are red, orange, yellow, green, blue, indigo, and violet. The idea of seven rays was presented to the modern world in The Secret Doctrine of Madame Blavatsky's. The seven rays have several meanings. One is that the seven rays refer to the seven spirit beings, Then within the seven are another seven, and so on, including humans who are comprised of all the rays but have one primary ray of the seven. Elizabeth Prophet further explained that ascended masters have become authorities and wayshowers of a particular ray through following the disciplines of one of the rays, thereby becoming the Chohan, or the Lord, of that ray. From their position as chohan they teach their disciples the path back to the center of their own being through that particular ray. There can be many ascended masters under each ray, but only one chohan of a ray. As already explained, the mahatmas, or masters, as believed by the Theosophists, have chosen to stay in the lower levels of service to mankind thereby forgoing nirvana. As described by later ascended master movements, these masters are called "unascended" ascended masters. The unascended master has overcome the limitations of the lower matter octaves (physical, emotional, mental), yet has chosen to postpone their ascension to remain in time and space to externalize and focus the consciousness of God for those still caught in the wheel of rebirth. Elizabeth Clare Prophet described the "ascended" masters as being the same or similar to what Catholics call the "saints in heaven". While the mahatmas talked to their chelas in either transmissions of letters to them (often written by other chelas) or appeared in person and then just as quickly disappeared, the ascended master activities received "dictations". In her book, Inner Perspectives, A Guidebook for the Spiritual Journey, Elizabeth wrote that the office of the messenger comes by the gift of the Holy Spirit. She describes that during the taking of a dictation by an ascended master her consciousness is "accelerated, or elevated, so that it can mesh with the consciousness of the ascended master" who is speaking through her. Then the master uses her voice as the instrument to bring forth their teaching. She denied that in the process of taking a real dictation there was any psychic involvement. And, she said, those who would give messages or dictations while in a trance are doing so through their subconscious mind, and this is what is psychic channeling. She said their mind and body are being used by discarnates and disembodied spirits to convey messages from the departed. Thereby the channeler is not in the presence of his own Christ mind. Elizabeth did not call herself a channeler because "channeling is just another word for spiritualism". With that premise, Edgar Cayce, (1877-1945) called the sleeping prophet, was a psychic channeler and he could not have been in his Christ mind. He also would have been conveying messages from disembodied spirits because he put himself in a trance and then an "entity" would speak through him. Yet that entity (or entities) was pretty clever. Cayce went on to deliver approximately14,000 readings over his lifetime, most in answer to individuals who asked for healing. Cayce under his self-induced sleep, could diagnose illnesses, describing the root cause, and prescribe the cure while only having a name and location of an individual, and in most cases when the prescription was followed the individuals were cured. Elizabeth believed that the source of her dictations was from God-free ascended beings who speak from the highest octaves of Light, one with the universal Mind. These beings deliver the Word of God and they come to initiate mankind "in the ancient mysteries of Christ and Buddha and the everlasting gospel for the new age of Aquarius". Alice Bailey defined sixty masters of ancient wisdom. According to Wikipedia, the I AM Movement and the Summit Lighthouse have received dictations from an additional 200 new ascended masters. These would include individuals who supposedly ascended from their groups after passing on, but these are not necessarily masters of wisdom. Most of Alice Bailey's teachings were channeled from her Tibetan ascended spiritual master Djwal Khul, himself a master of wisdom. The Summit Lighthouse claims that these ascended masters are immortal saints and sages after having gone through the initiations represented in the life of Jesus by the stages of Birth, Baptism, Transfiguration, Crucifixion, Resurrection, and the Ascension. The ascended master activities claim that Morya and Koot Hoomi of Theosophia became ascended masters around 1898. Other masters like Serapis Bey (chohan of the fourth ray) and the Maha Chohan (representative of the Holy Spirit), already were ascended masters. According to The Masters and the Spiritual Path (by Mark and Elizabeth Prophet) Kuan Yin, the Goddess of Mercy, has promised to keep the flame of forgiveness on behalf of the evolutions of this planet foregoing cosmic service and advancement in the hierarchical order. While she has taken a Bodhisattva vow, she is still claimed to be an ascended master, although there is no explanation why other masters taking the vow are unascended and she is ascended. According to the Summit Lighthouse other unascended masters who have taken the Bodhisattva vow are: Yogananda, Babaji, Ramakrishna and Lao-tzu. There are no stories abounding of contact with these unascended masters with physical humans, as was with the mahatmas of Theosophy. Yet there are no shortages of self-proclaimed messengers not connected with the Great White Brotherhood. There is J.Z. Knight who channels an entity called Ramtha. Jane Roberts channeled Seth coming to her after she experimented with the Ouija Board. A Course in Miracles is said to be dictated from Jesus to Helen Schucman. And one of the most well-known is Neale Donald Walsch and his "Conversations With God" book series. He claimed God dictated the words to him. While Seth and Ramtha aren't claiming to be ascended masters, one can do no better than talking to God and Jesus. Of course, as with the ascended master dictations and the mahatma letters, there is no proof any of them are connected with God Reality and purity, but may be coming from the disembodied spirits that Mrs. Prophet claimed were behind all channelers but the true, ascended master dictations. Alice Bailey becomes an amanuensis for the Master DK (Djwal Kul) in 1919, but many Theosophists did not believe she was in communication with the real master as her teachings differed from Blavatsky's. Guy Ballard's Saint Germain said through him: " ... I have prepared these Messengers, not only in this embodiment, but embodiments before, for this Work today, and I will not choose anyone else through whom to give forth these Instructions. (September 21, 1938 in Seattle, Washington) Yet in 1920 Nicholas Roerich and his wife Helena (who were Theosophists) founded the The Agni Yoga Society and served as amanuenses for master M and other mahatmas. Mr. and Mrs. Ballard were supposedly the only accredited messages of the masters while El Morya was teaching through the Roerichs. Mrs. Ballard's masters also reiterated the same message in a few of her dictations, that there would be no new messengers authorized until the Ascended Masters step forth in their visible tangible bodies in the permanent Golden Age. Yet the master Morya does not tell Mrs. Ballard, but goes on to sponsor Geraldine Innocente. Then this same master Morya supposedly contacted Mark Prophet in 1936 to teach him and prepare him for his mission, but Mark turns him down. Ten years later he believes it was a mistake and implores El Morya to come back. Mark then begins working with El Morya while Geraldine Innocente and Mrs. Ballard are still messengers and starts publishing messages. Then El Morya seeks out Elizabeth Clare to be a messenger in 1961 while the other messengers are still active. El Morya does not tell the other messengers he has sponsored other messengers. Mrs. Ballard refused to acknowledge Geraldine or the Prophets. Monroe and Caroline Shearer, former Summit students, claim their sponsorship by El Morya and St. Germain in 1995 and formed the Temple of the Presence. Mrs. Prophet refused to acknowledge the Shearers as legitimate messengers although she accepted other movements before the Summit. Monroe was made Vice President of Church Universal and Triumphant but appeared to have differences with Elizabeth after Mark passed on. He was dismissed from the Church in 1982. One of the issues I heard was that he did not believe in the judgment call that "Jesus" dictated through Elizabeth in 1978. After the messenger's retirement from the Summit Lighthouse, David Lewis formed the Heart's Center in 2005, claiming he was a sponsored messenger, and thus competing with the Shearers for ascended master students. The Shearers claim they are the only sponsored messengers, while the Heart's Center does not comment on other messengers. I formed the Shangra-la Mission after the Great Divine Director announced to me in 2002 that I was to become a messenger for the ascended masters. My husband also claimed first he was sponsored by Jesus, and later a messenger for the Great White Brotherhood. I ended Shangra-la a few years after our divorce but the dictations of my ex-husband continue. He has no official movement, but a large following in Eastern Europe. There were also other Summit students claiming to be messengers after the messengers retirement, but they never became widely known. Marsha Covington formed the New Wisdom University in 2003, and Debra McFadden claimed messengership at that same time, but as far as I am aware never created an organization. One of the Shangra-la Russian students one day in 2004 proclaimed she was a sponsored messenger and created her own website and took many of the original Summit students who were a part of Shangra-la with her after announcing to all the Russian students that she was the new messenger. She began to take daily dictations, which continued for years. Obviously, if the masters and their messengers were real, they have sponsored many messengers and don't have just one. Someone also must be lying, whether it be the master or the messenger that "this messenger is the only one". And if they don't have one messenger representing them, they contribute to fractioning ascended master students with their different philosophies through different groups and their messengers, especially with messengers claiming the others are not true messengers. Yet if the masters were not real heavenly beings it would make sense that entities would find any willing ear and after some time of pretending to be of service to the person and for the good of humanity, that they then raise that person up to be special and the bearer of the TRUE word of God. Each messenger tends to believe that they are the bearer of the highest and truest teachings that will herald in the Golden Age. My former husband does not claim he is the only messenger, but he very well claims he has the highest and truest teachings and teaches concepts that have never been in any prior movement to date. David Lewis teaches that the ascended masters of the violet laser light practice the white magic of the divine Magi. He also promotes the use of Orgonites to clean up energy and boost your emotional and physical health and Paneurhythmy meditative movement set to sacred music to balance energies, and largely focuses on Buddhic spiritual techniques. He also took (and may still do) daily dictations from the masters. There is no definitive proof that these masters are real. Yet it cannot be proven that they are not. With the ascended masters and the path they taught through messengers as the true higher path to oneness with God, you could say the proof is in the pudding. Have the teachings these masters given out over the last century improved lives and helped people reach the goal of the ascension they espoused? Are these "lost teachings" they said are being restored through their dictations and messengers teachings that are true? Do the decrees the masters have given work? Why do some of the dictations contradict each other, even in the same organization, as well as from organization to organization if the ascended masters behind the dictations are the same in each movement? Some would say it is not the masters but the messengers influencing the dictations from their own consciousness. Yet the masters do not come forth and correct any differences or contradictions in later dictations. Some might counter that reason saying it is to teach their chelas a lesson of discernment. Joshua David Stone, a Theosophy student and founder of the I AM University, wrote in his book, "How to Release Fear-Based Thinking and Feeling", that ascended masters make mistakes. Saint Germain through Mr. Ballard said, (Godfrey Ray King in "The Magic Presence) “The Ascended Master is absolutely Infallible at all times, because He has passed out of the octave of vibratory action in which mistakes can occur, for he has become wholly Divine, By the raising of His Body, all atomic structure has been changed into the Electronic." What has the path, the messengers and the teachings done to change lives in a positive manner? There are plenty of testimonies from students who claim they are transformed by the teachings. Unfortunately, there is no way to confirm their stories. Over the years I heard and read comments from individuals who were once Summit students and then became Temple of the Presence students, or Hearts Center students, or Shangra-la or my husband's students, who claimed they felt "so much light" from their favorite group and messenger. I grew to understand that each teacher and message had a different approach and message for their students, and each attracted certain kinds of students. If the messenger focused on Buddha, and Eastern philosophy, students who had greater affinity to Buddha would choose that messenger over another, especially when that messenger claimed all are Buddhas. My husband often used the term "top ten percent" in his dictations, and other phrases that played on people's egos. Stating those those who did not understand his teachings did not because they were outside the top ten percent has the tendency to inflate certain people above others. Consequently, I found that many people who were attracted to his teachings were generally silent loners who were very prideful or had inferiority/superiority complexes. They loved to be under a teacher who reminded them of how important they were, even if they did not belong to groups, and since my husband had no formal group his teachings fit their needs. My conclusion that the ascended masters are not real came after thirty-five years of study under these "masters" and their messengers, as well as becoming a messenger myself and having direct communication with these "masters". There is much I can share on the perspective of being a part of the teachings from both a student and a teacher, and married to a man who also proclaimed he was a messenger. I will conclude with the words of Jesus from the Sermon on the Mount from Matthew 7:15-20. We will continue to look at the fruits to know them.